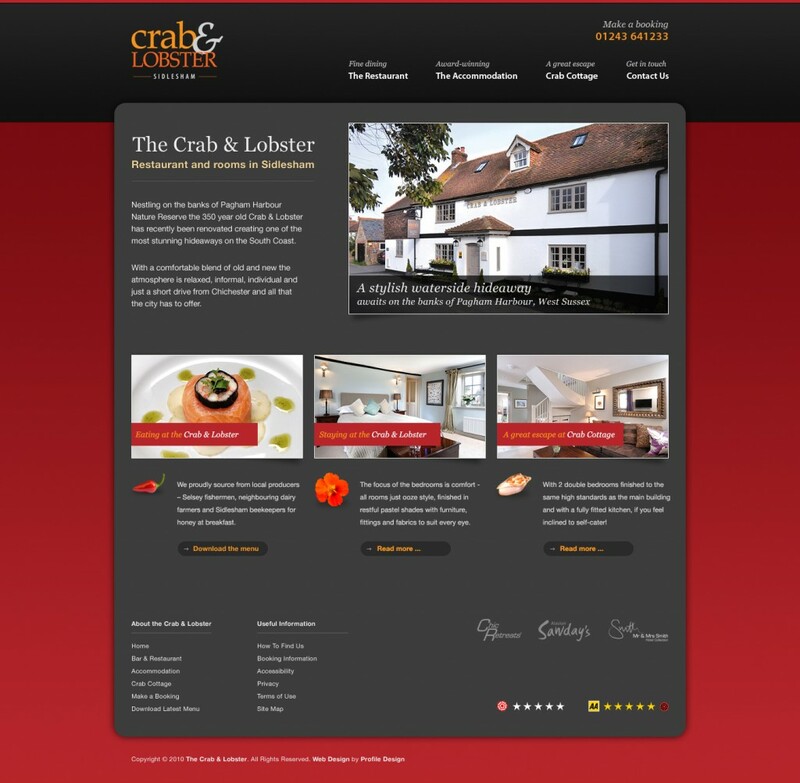 The Crab and Lobster is a stylish inn with stylish accommodation and a reputation for fine food located in Sidlesham, near Chichester in West Sussex. Profile design have worked with Sam and Janet for many years, producing graphic design and advertising solutions as well as offering printing and other related services. Profile were commissioned initially to update branding and design a new brochure and subsequently we have also designed and built the original website which is currently being re-designed along with the Website for The Halfway Bridge in Lodsworth, which Sam and Janet also run. 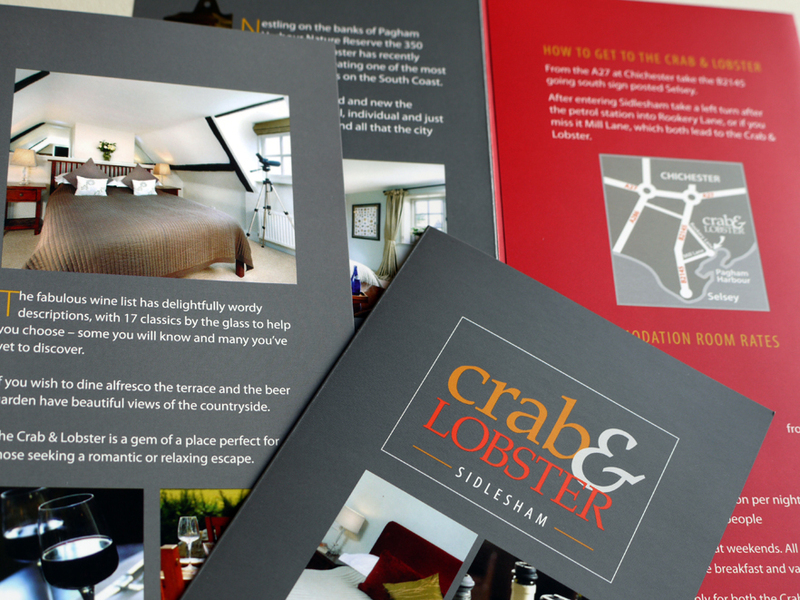 Producing graphic design work for award winning and acclaimed businesses like the Crab and Lobster is made easier in that you are really re-enforcing that up market, quality reputation with, hopefully, equally good graphic design and print production.